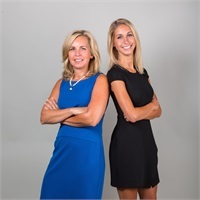 Michele and Ali Burkholder are a family financial practice. While Michele focuses on working with leaders in their field, Ali works with emerging leaders. They have the unique ability to bridge the gap between generations. They can be the perfect complement to your personal or business financial succession plan. Michele is the seasoned professional (aka baby boomer). Holding Sr. level positions with industry leaders like State Farm Insurance, Reliance and ING, she developed a comprehensive knowledge of the financial choices available. Michele started her own practice in 2008 to work directly with individuals and business owners to help create real solutions to practical, financial challenges. She guides her clients to establish efficient tax, wealth and protection plans. She helps business owners create strategies to maintain their business Income with succession, retirement, key employee and estate planning.